Includes breakfast, lunch, Mega Ticket, Raffle Tickets & entrance to all contests. 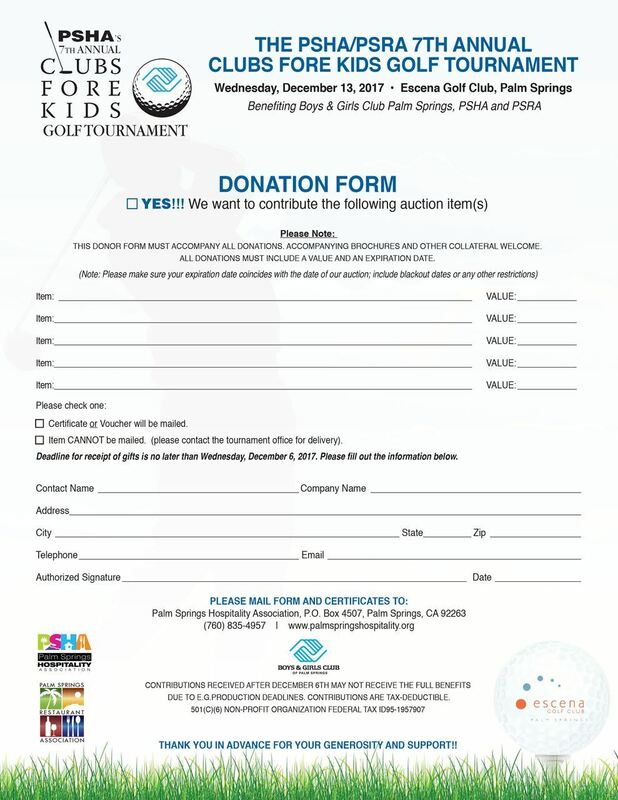 See all sponsor benefits listed on the Main Golf Tournament Event Page. Includes breakfast, lunch, Mega Ticket, Raffle Tickets & entrance to all contests. Includes 2 Raffle Tickets. Lunch begins around 1 pm. Come early to enter the luncheon raffe. Raffle Prizes for all your "Holiday Shopping"! click the link below to access the "Donation Form"
mail the form to PSHA - P.O. Box 4507 - Palm Springs, CA 92263) Thank you!